When I finally got that call of transformation from Ibadan to Lagos, I was so excited. Lagos is a great place to be, I have several female friends in Lagos whose relationship with me have only been hampered by the long distance. I longed to make up with them. I was excited about meeting new people. The pay wasn't my major attraction funny enough. The salaries in Lagos are inflated but the transporters have a way of taking a large chunk of it. Some people end up working so hard for their landlords too. This you do my renting executive apartments that are higher than what you earn. I quietly packed all my clothes like I was saying good bye to Nigeria. I had a very big traveling bag containing all my clothes and all my certificates I have gotten in my entire life. I also carried a Bagco bag where I kept some food materials to make accommodating me easier for my friend. He complained bitterly the way I came the last time empty-handed. The Bagco bag also contained two pairs of office shoes. The onus for my explanation of the contents of the bag will be revealed later. I hopped on a bike from the junction of my house, Jericho quarters down to Challenge. I got into that stuffy Oshodi bus. Although I was happy to leave Ibadan for greener pastures but I had this emotional attachment to Ibadan. I have been there for almost 24 years of my life. I was quiet throughout in the bus. I keep thinking about life without my family, my friends and all those that made life worth-living for me in Ibadan. 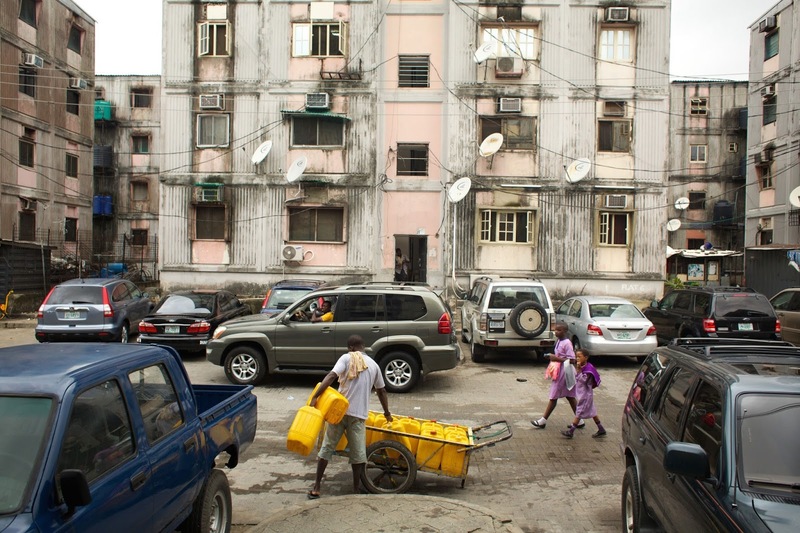 The reality of living alone in an expensive city like Lagos started to dawn on me. 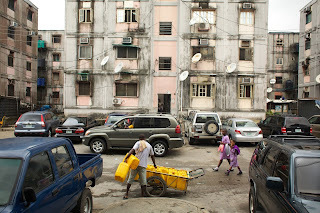 I started thinking about my adaptation to the lack of fresh air in Lagos, overpopulation, bad traffic, presence of some miscreants and the 'corporate hustlers' who hide under the beauty of their clothes to perpetrate evil. If you have ever been turned down in Lagos, then you will appreciate any successful person in Lagos even if it’s just a rickety car he has to show for it. Personally, I feel anybody who has a roof over his head in Lagos whether rented or built and also doesn't beg to survive is successful. Success is relative though. I was heading to Ebute Metta to squat with my friend for a while pending on the time I would get on my feet. I was busy looking out of the window profusely in order not to miss my bustop. It’s embarrassing when such happens to you in Lagos. Something dramatic happened at Jibowu where some passengers alighted. This incident is the climax of this episode. I was sitting at the middle seat. As the passengers alighted, the booth of the vehicle was opened because of the alighting passengers wanted to offload some belongings kept there. My instinct prompted me to look back at my belongings at the booth of the vehicle. Some haggered-looking guys commonly known as 'agberos' crowded the booth of the vehicle and carried my two bags. I was shocked to my spines. I saw this fair and tall young man in his mid-thirties moving swiftly away with my bag. I screamed from inside the vehicle like I just saw a ghost. Passers-by shouted with me. The bag was successfully recovered from him. As it was returned to the booth of the commercial vehicle, I noticed the other Bagco bag was absent. This was like my worst nightmare I totally wished to wake up from. I jumped out of the vehicle despite the tight corner I was occupying in the bus. I ran towards the opposite direction where I sighted two hefty guys holding two similar Bagco bags. I am not really the kind of superman that will take on people easily in a fight. I am a weak and easy-going guy that hates to fight. The highest I can do is to brag. People supporting me held unto the first man who was innocent. And quickly, they caught up with the second man who was almost out of sight with my bag. Immediately they held unto him, he gave a bright smile and dropped the bag. I didn't find it funny. I took it from him and ran to rejoin my bus to Yaba. Everybody in the bus saluted my vigilance. A terrible scene was caused. That is not the kind of attention I would have ever wished for. I imagined what life would have been like losing my two bags. I would have been walking around half-naked in Lagos like it’s the new fashion trend. How would I have recovered all the original copies of my certificates? That would have been a holiday in hell. I gave thanks to God for the prevention of crisis. I shared the experience with my friend and his younger brother who came to help me with my bags. They both smiled and said "WELCOME TO LAGOS".